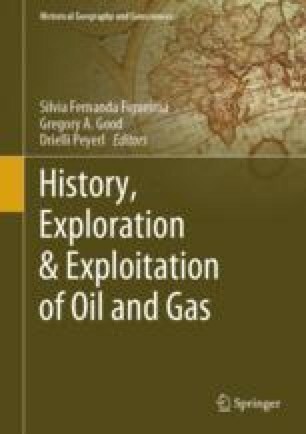 This paper brings to light a still poorly known history, which demonstrates the technological and intellectual momentum of the geology of the State of São Paulo, before the creation of Petrobras. Although the results regarding the presence of oil in significant amounts were disappointing, relevant geological results were achieved, as well as technical advances. The initial steps of oil exploration in the State of São Paulo were linked to private entrepreneurs, and date back to the year of 1872. Exploration and research attempts took place in the hinterland localities of Morro do Bofete and Águas de São Pedro, through geological studies performed by naturalists, engineers and geologists. In the 1920s, surveys were performed by the Geographical and Geological Commission of São Paulo (CGG), in cooperation with the Brazilian Geological and Mineralogical Survey (SGMB). A special subdivision was created within the CGG in 1927, and the North American petroleum geologist Chester Wesley Washburne (1883–1971) was hired in 1928. The set of documentation used includes private and official letters, besides other types of historical documents, in custody of the Historical Archives of the State Geological Institute of São Paulo.